Display your graphics easily and affordably with eye-catching banner stands for overhead mounting on grommets or poles. Indoor banner stands are available in a variety of options including retractable, lightweight, fabric and telescopic to fit your advertising needs. Full color graphics printed on indoor banner stands and backdrops offer an attractive style, while maintaining a professional appearance. Are you tired of the same signage you see every day in your office? Or maybe you want to revamp the look of your space so that customers and clients feel a new energy. Don’t remember the last time you redid anything in your office? Whatever the reason, SpeedPro Imaging NW Raleigh is ready to welcome you and start a new project for your company. Our team of skilled professionals specializes in creating bold looks through large format printing. We’ll design custom interior signage for your building and office according to your specifications and branding needs. If your business or organization is located in the areas of Raleigh, Durham or Cary, contact our studio now. 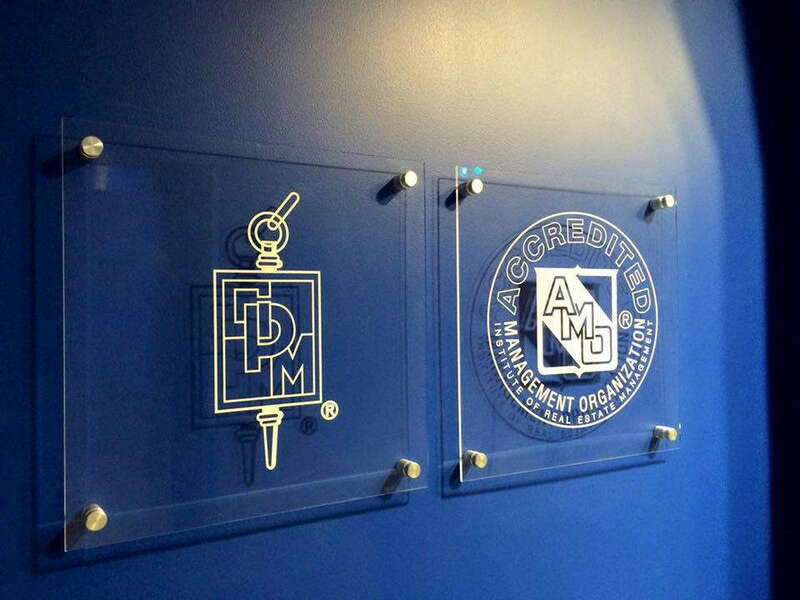 Our goal is to create professional indoor signage you’re proud of and confident about. Let’s get started! Whether you’re looking for a complete indoor renovation or changes to just a few spots throughout your office, you’ll find what you need with SpeedPro because our studio offers multiple options for your indoor signage. SpeedPro Imaging NW Raleigh offers graphics that can either be long-term or short-term, depending on your business requirements. If you need new signage for presentations and anniversary events, temporary signage will be the best match for you for your intended purpose. However, more permanent options, such as banners and vinyl murals, will ensure your investment sticks around. Printed foam core is best used for presentations and conferences. It’s an easy sign that’s totally customizable for your presentation and branding needs. You can display it on an easel board or propped up on a shelf — whichever fits your viewing pleasure. 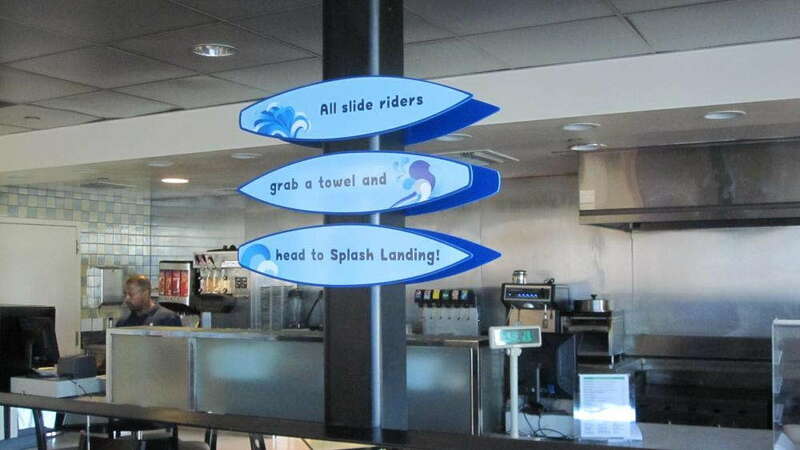 Foam boards are also perfect for directional signage during those presentation days. If you have guests coming in who’ve never been inside your building, being able to guide them around through reception and the meeting rooms will be a huge assistance. If you’re going for a bigger visual solution, try our vinyl wall coverings. We offer removable vinyl graphics, so you can make a statement in your lobby or conference room and then take them down afterward. Our more popular option, however, is the non-removable vinyl wall mural — this vinyl is rolled onto your wall with an adhesive that can last for up to seven years. It’s a perfect option for capturing your business’s brand and relaying it to your employees and customers in an eye-catching way. 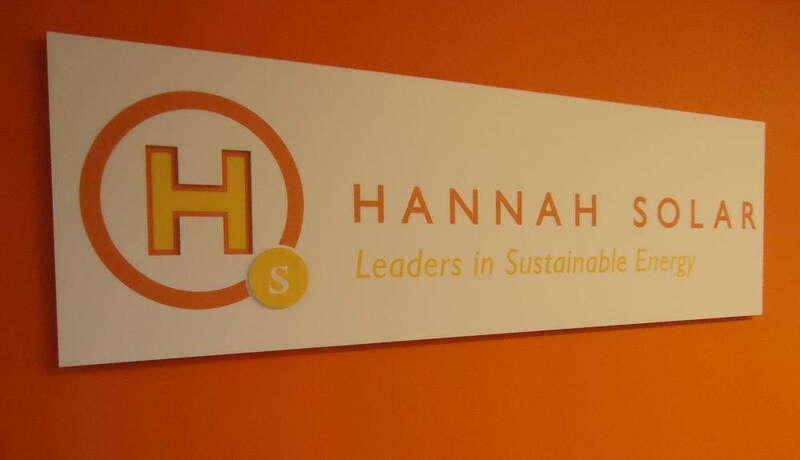 There are so many possibilities in redesigning your professional indoor signage. To find out more, call or visit our studio! We can talk you through more of our options and get you set up with a consultation to discuss your choices in person.